When you get to your new home in Segovia, take the time to explore this fascinating city and dive into the local history. Throughout the country’s rich and vibrant history, Spain has always been a source of wonder and inspiration. Those who decide to study in its beautiful historic centers, especially places like Segovia, won’t be disappointed. 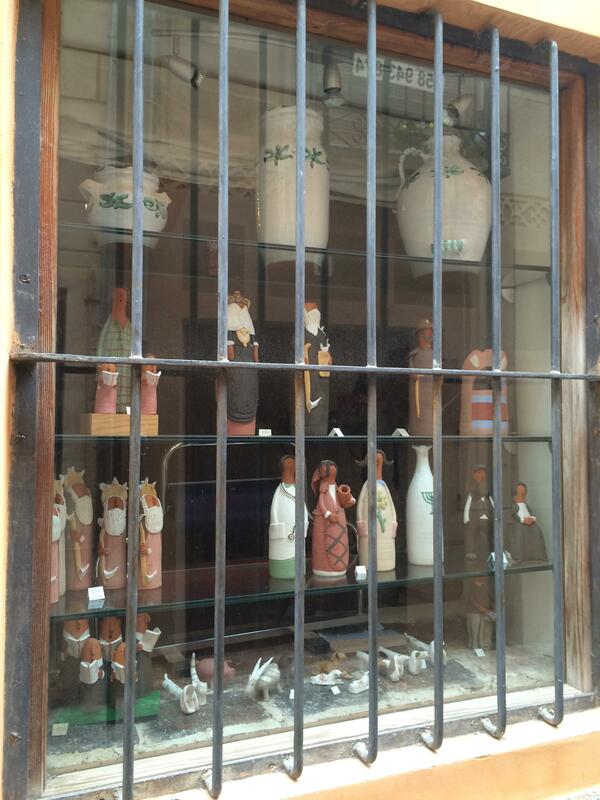 You can find shops specializing in historic treasures next to popular, modern stores filled with quirky knick-knacks. There’s so much to discover! When you get to your new home in Segovia, take the time to explore this fascinating city and dive into the local history. To help get you started, we’ve compiled a list of some of our favorite spots. Here are four charming shops that are sure to catch your eye. Here, you can find mostly furniture and decoration for your house, including tiny boxes, clocks, posters, and figurines. 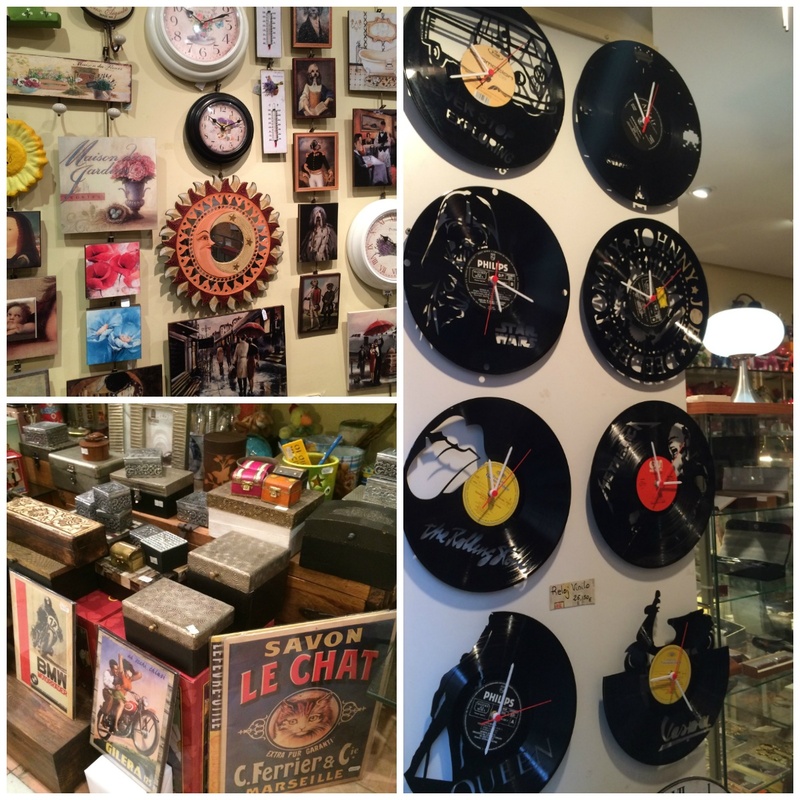 They have a collection of clocks made out of repurposed vinyl records that stood out for us, but they’re always getting funky new items to add to their stock. All products in this shop are handmade in the workshop, located on the 2nd and 3rd floor of the building. 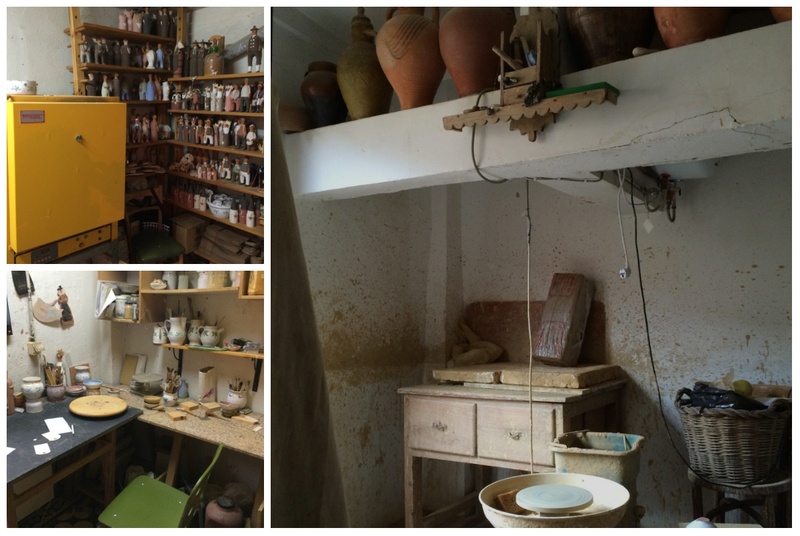 This shop has been operating for 34 years, and they’re dedicated to reviving the traditional pottery-making techniques used by master potters for generations. One of their specialties is making clay figurines to show the lives of the Romans, Segovians, and Castillians through the ages. When you get a chance to explore the city’s Jewish Quarter, you’ll be able to find a number of plates that were made in this workshop. 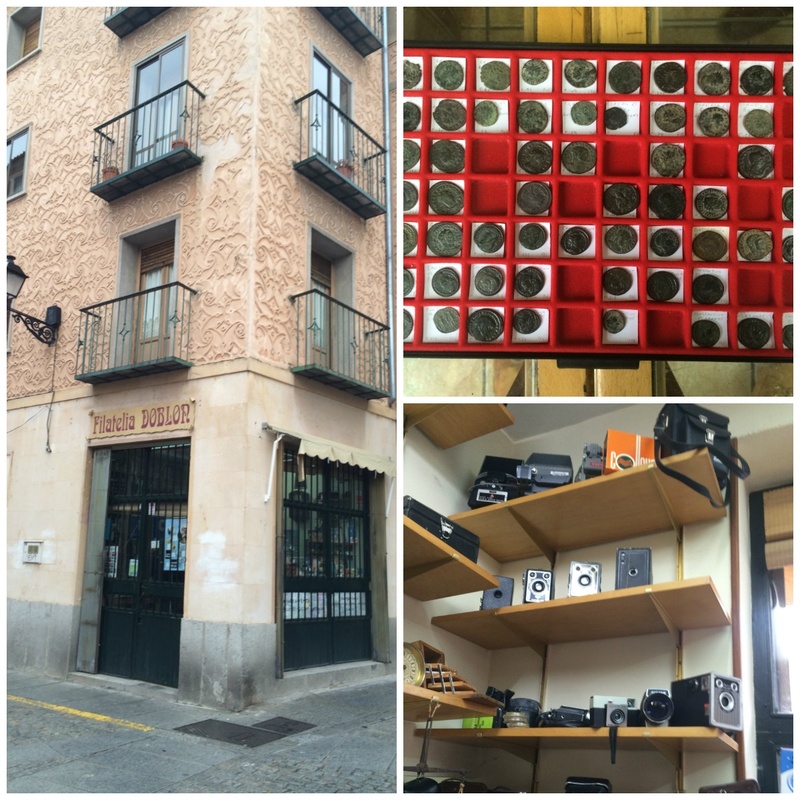 This store is a must-see in Segovia. 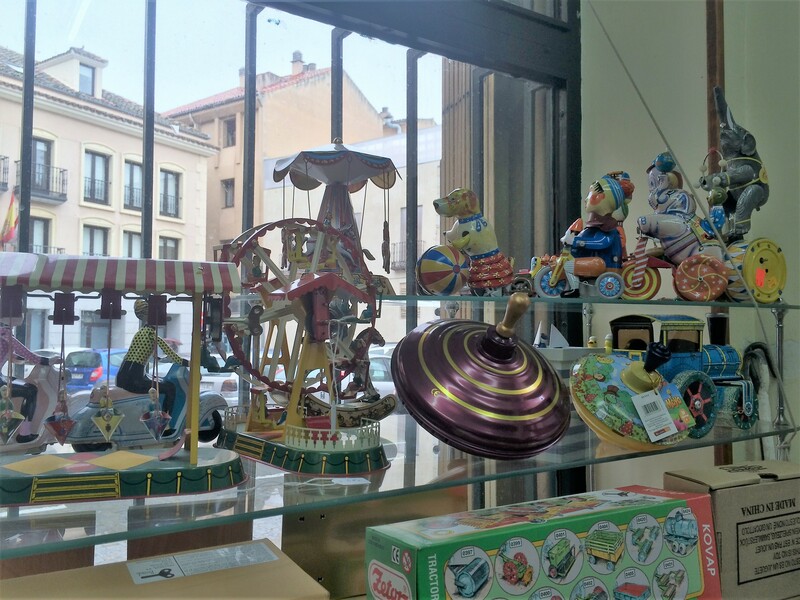 Inside this small space, you can find plenty of historical items, from Roman coins and medals, to swords, old-school cameras in working order, and toys from the 1930s and 1940s. 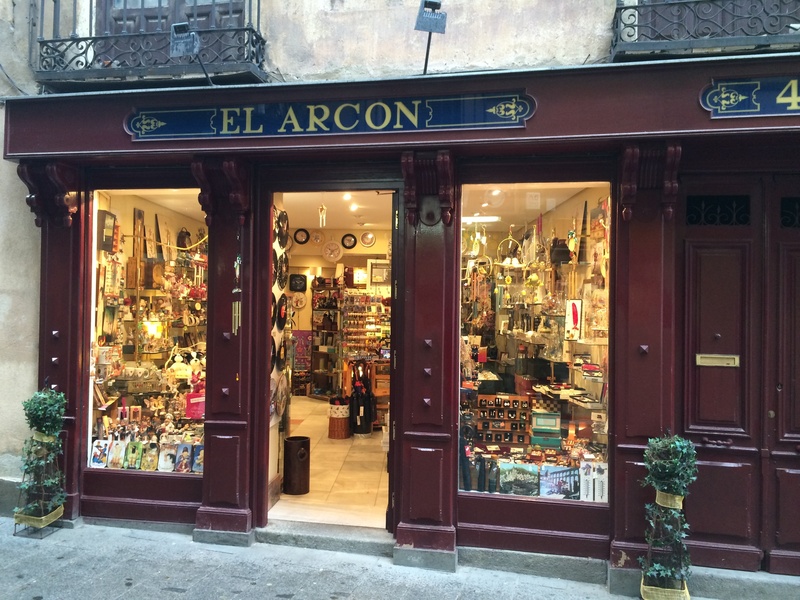 The owner of the store, Javier, is a prominent member of the Segovian historical community, and has collaborated with IE University’s Archeology Unit on a number of occasions. 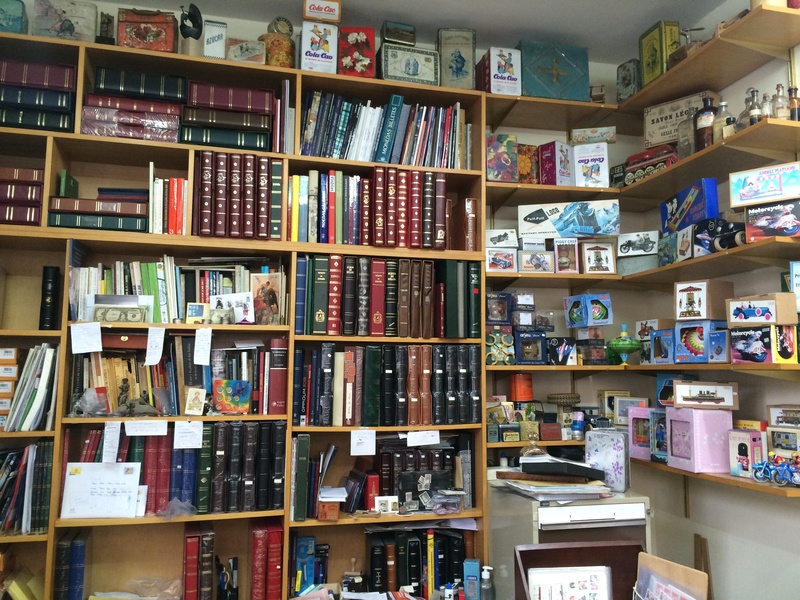 He describes his store as a place for collectors. All of the items sold in his store work as they were intended when manufactured, and as a result they are considered collector’s items. If you want to find some of these artifacts both for yourself or as gifts, go check out this store. Talk to Javier if you want to learn more about Segovia’s rich history. He tells us that countless fascinating conversations and debates have taken place inside his shop, where people can learn about history through the treasures displayed there. This shop is one of our absolute favorites. 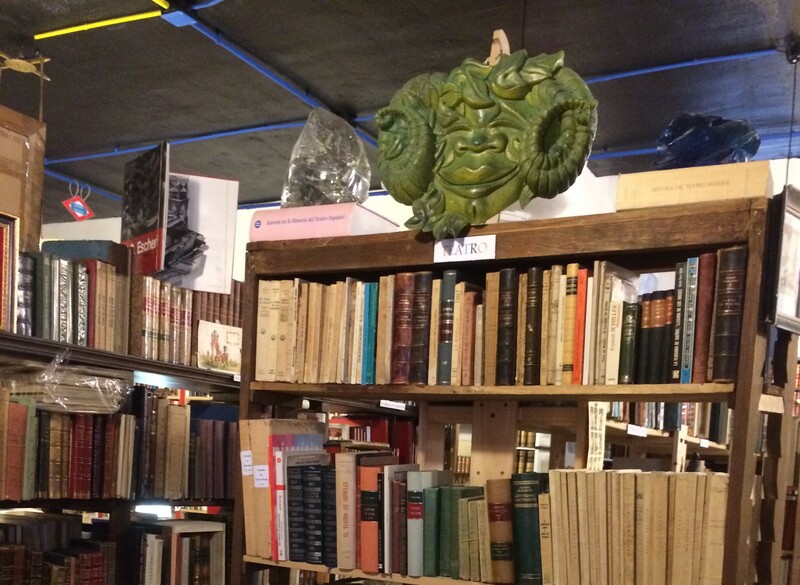 We were introduced to this remarkable bookstore by Cesáreo Pérez, Director of the IEU Archeology Unit, after running into him at the Filatelia Doblón. 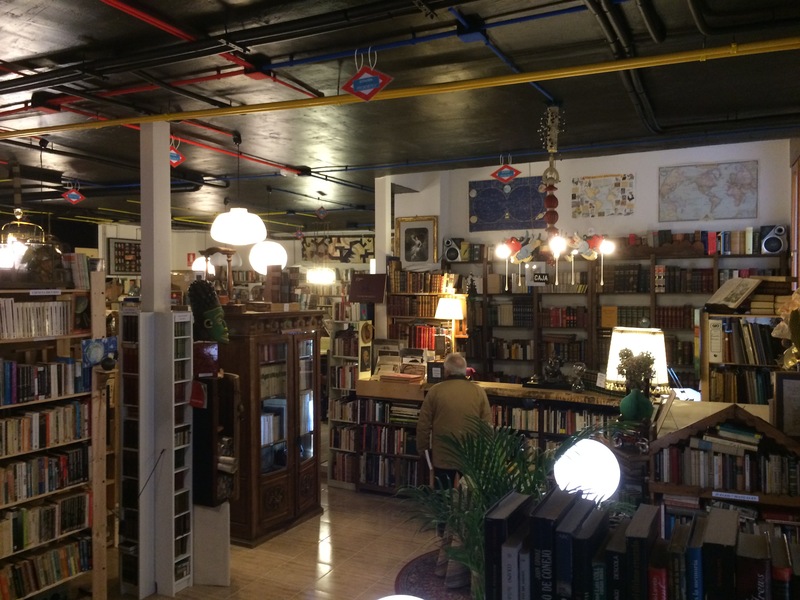 This store specializes in old books and historical items from all over the world. The largest store on our list, we think it is also the most interesting because of the huge variety of items you can find there. 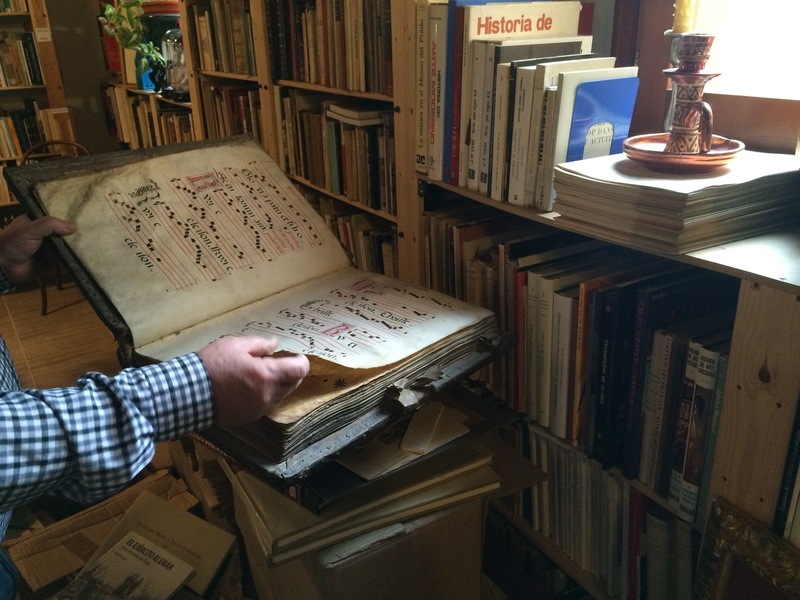 The owner, César, showed us all of their latest acquisitions, including a beautiful Gregorian music book, written by hand on parchment paper over 600 years ago. In this store, they managed to capture and show the value of these books by pairing them up with historical objects related to the topics explored in the books. 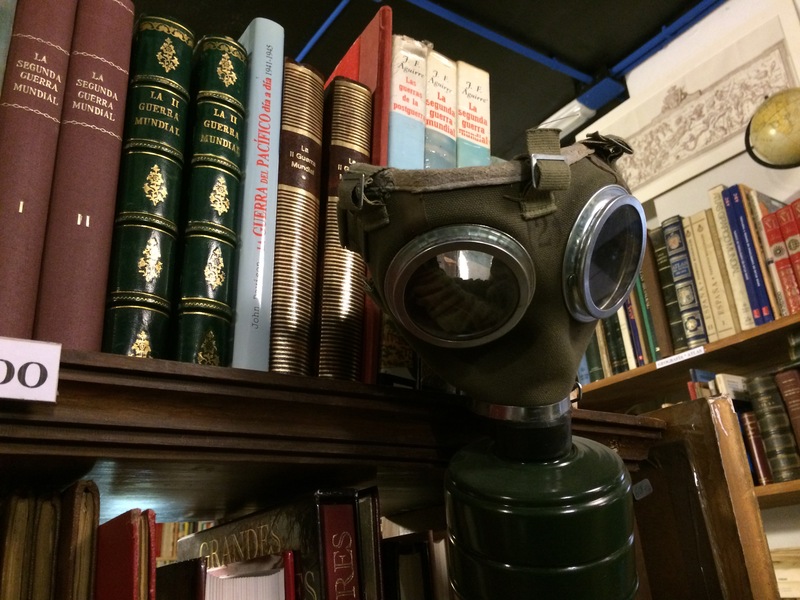 For instance, there is an original gas mask displayed next to WWI and WWII books (pictured at the beginning of this post), an impressive jade comedy mask next to old plays, and a collection of sea shells near the natural history and biology books. This store is definitely worth exploring and getting lost in. The cultural significance of all the works here would give you enough to learn to spend several days inside. 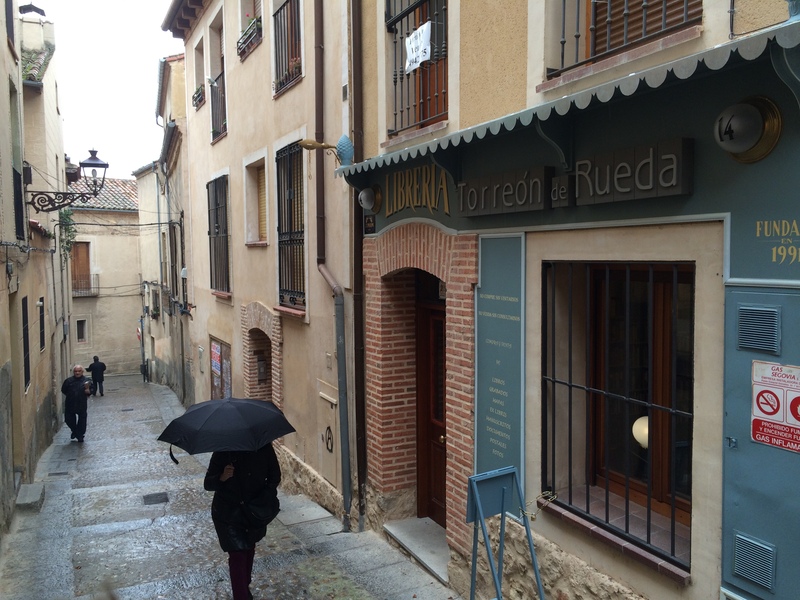 This hidden corner of Segovia is definitely a must-see for anybody living here. We hope that this plan, and many more to come, can show you a little bit more of the beauty within our beloved city of Segovia, and it can serve as an inspiration for more exciting plans to do with your friends and classmates. Do you have any ideas to add to this plan or any other fun plans that you would want to see featured? Write them up in the comments below and share your ideas and experiences with your fellow IEU students!